Sazh and Serah’s relationship exists in the land of offscreen development in the bridge between the first two games. It exists, certainly, and it’s not unimportant - they just have other members of the cast that warrant their screentime more. What they do go through on screen is at opposing ends of a spectrum - one extreme to another. This does wonders for showing just how much they are connected. The most important beats in their relationship, and the radical change Sazh feels towards Serah herself, the player is present for. These actions speak far louder than a lengthy discussion that has likely been had somewhere, sometime. And that’s without mentioning the comparison between Serah and Dajh, which naturally makes Sazh protective of Serah. Sazh’s first encounter with Serah is when he’s having a particularly bad day. His son has been taken away by the Sanctum, he has to board the Purge train, and there’s some crazy lady volunteering to be Purged. I mean, volunteering! To be purged! Who does that. But Sazh has been around long enough to know when someone has a plan - and sticking with Lightning was, in fairness, sound. It isn't. To top off his bad day, following around the member of the Guardian Corps results in Sazh becoming a Pulse l’Cie. Let’s back up a step. Sazh encounters Serah far earlier than the rest of the party, since Lightning gets to her first and Serah isn’t succumbing to crystallisation. Though unconscious, Sazh sees her as a l’Cie threat. Pulse l’Cie must be killed. This is a lifelong conditioning and Sazh has had far longer than the rest of the cast to believe it, being twice their age in most cases, and in that moment, he’s seeing what is responsible for the loss of his son - and it’s not the last time Sazh faces such a dark temptation, or stares down an undisputed fact from his life. Just like Serah and Hope, Sazh is a normal citizen - not part of a police force or neighbourhood watch or hunters. He might be a pilot, but he’s a single father who just wants what’s best for his son. He’s just a man, and he reacts according to the way he’s been raised to believe. But Sazh, importantly, does nothing. He can see himself in Lightning - Serah is to her what Dajh is to him, and with her Focus complete, Lightning is going to lose her sister anyway. That, and in the end, Serah is the one that brings Dajh back to Sazh. 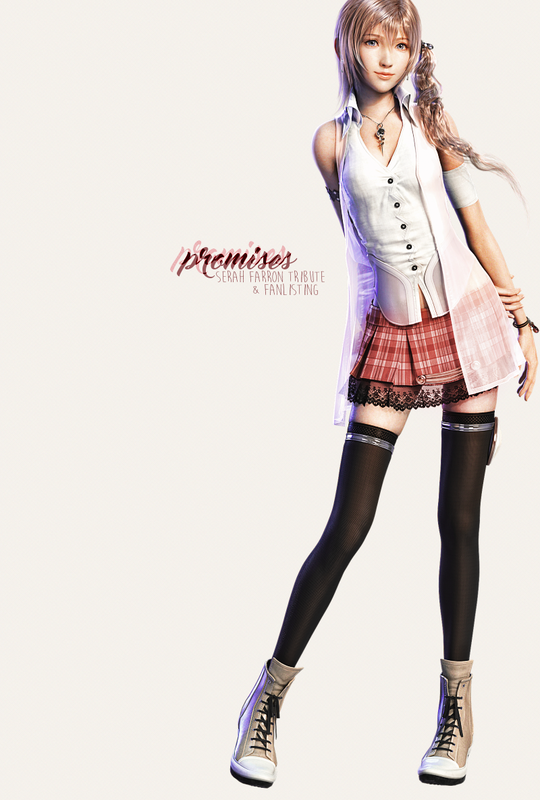 Dajh has a bond with Serah through a shared experience, and is even part of Serah’s classes, which Sazh comments that he misses. So, Sazh doesn’t start with the greatest of feelings towards Serah but he softens. The similarities help. The greatest thing I can talk about juxtaposed against this beginning - right at the start of the first game - is the last sequence of events in Lightning Returns. Just as Lightning takes down Bhunivelze, the rest of her friends appear to aid her with one exception, being Sazh and Dajh - but Sazh is late because he is the one finding Serah’s soul. It’s a beautiful curve, when he was the one most visibly against Serah to begin with, and it just makes sense. Sazh owes the Farron sisters, plural, a lot - is this one way he can repay them? Is this because like the rest of the cast whom Sazh looks after as though they were his own children, Serah is of course one of them? Maybe both. We’ll never know, but they are the ones that most embrace the rest of the cast as their family. The points between just happen to be limited and unseen. But they’re there. He wouldn’t have been the one to find her soul, otherwise.